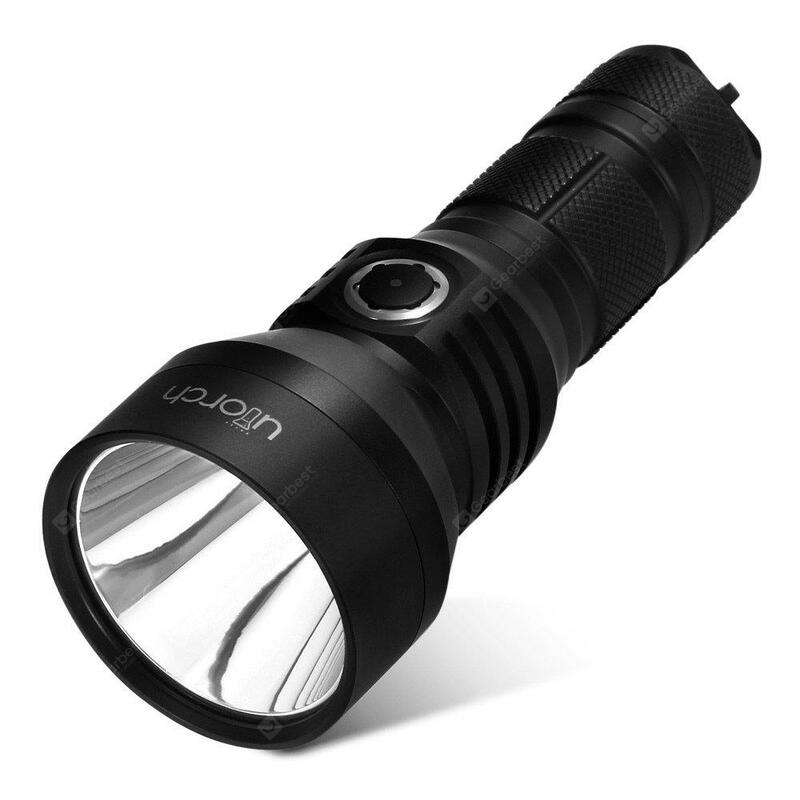 Utorch UT02 Cree Large Flashlight - BLACK 3D 5000K w cenie $42.99 | Chińskie kupony rabatowe, zniżki i okazje! Utilizing Cree’s high intensity flagship XHP35 HI LED, the UT02 provides an incredible illumination that is up to 1300 Lumens. It features versatile modes including 5 constant outputs as well as Strobe and SOS, which is designed for a wide variety of applications. Onboard with Micro USB charging port and protection circuit, the UT02 gives you the rechargeable convenience. High intensity LED and precision reflecting system provide up to 700 meters’ throw, which is perfect for large area search and outdoor activities. It is compact but functional, well-built and incredibly powerful!